That quote from Dr. Seuss will probably always be one of our very favorites. We love reading to our petit ones! In our eyes, gifting books to children is the kind of gift that keeps on giving. 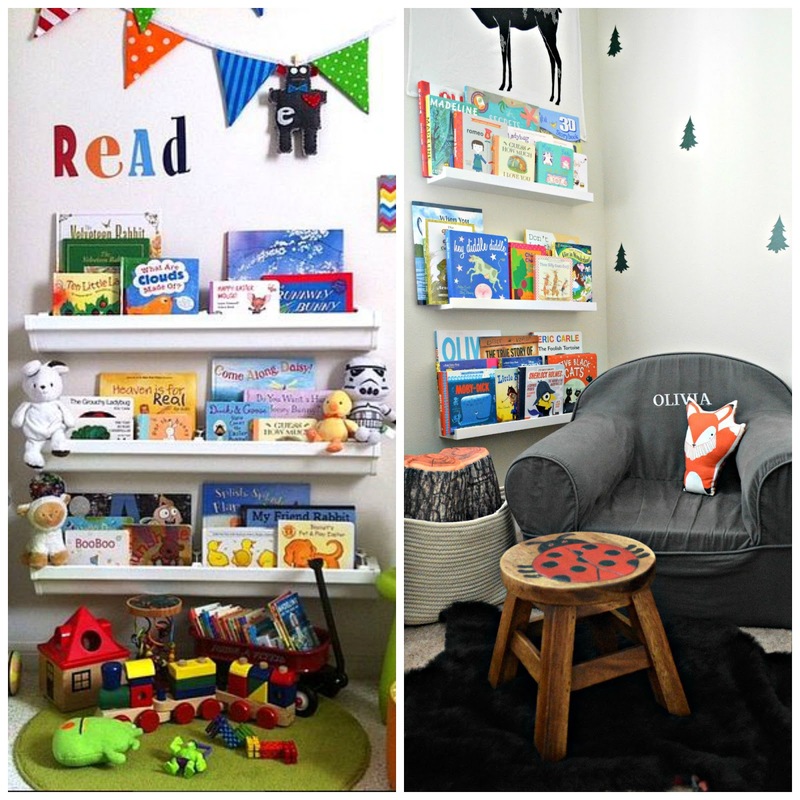 Nothing makes us as happy as curling up with the kiddos and reading them a book! 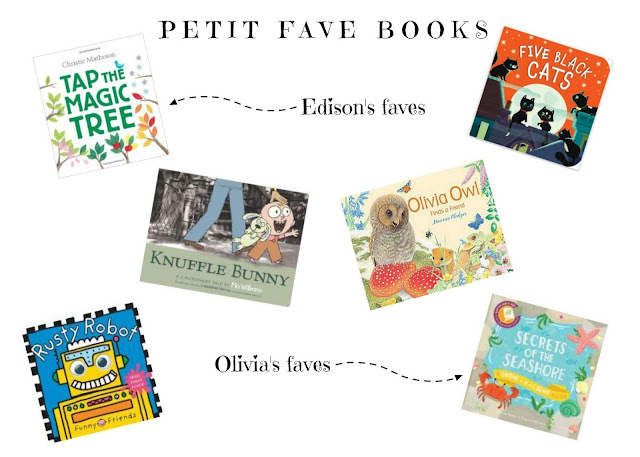 We often try to gift books to the petit ones in our lives. They don't always have to be brand new. Sometimes the best books are the ones that have been passed down from your own collection, or older cousins and siblings. Classics! In case you missed this post, Jess talks about how thrift stores can be the ultimate jackpot for books, children's books especially! We have also found that if we display their books front facing (and rotate them regularly to change it up) the kids definitely take more interest in reading because they can actually see the front of the book. The left photo (Edison's old room) is actually a DIY shelf made from rain gutters! Thank you Pinterest discovery. And the right photo (Olivia's room) is using Ikea's white RIBBA picture ledge.